The breadth of Edgar Allan Poe’s influence on our culture is incalculable. 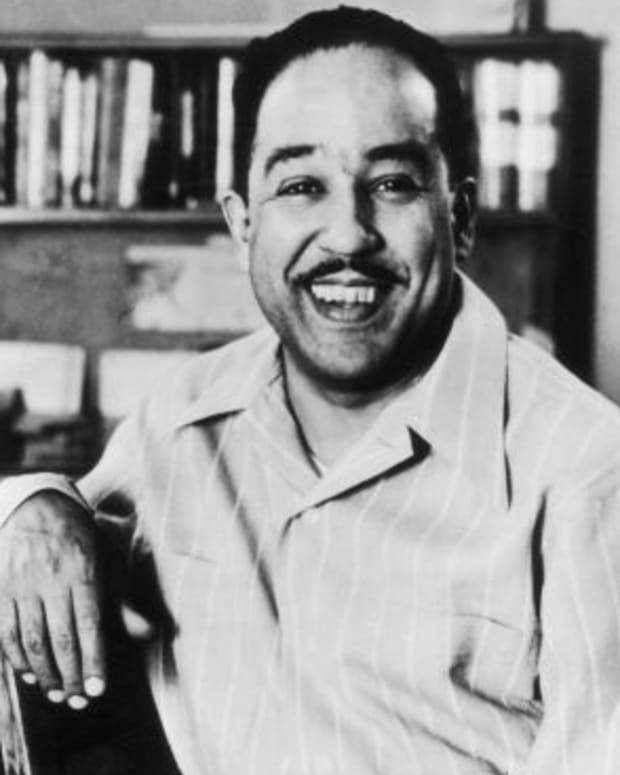 He invented the detective story, contributed to the development of both science fiction and the horror genre, and wrote about the only American poem anybody knows—certainly the only one popular enough to have an NFL team named after it. 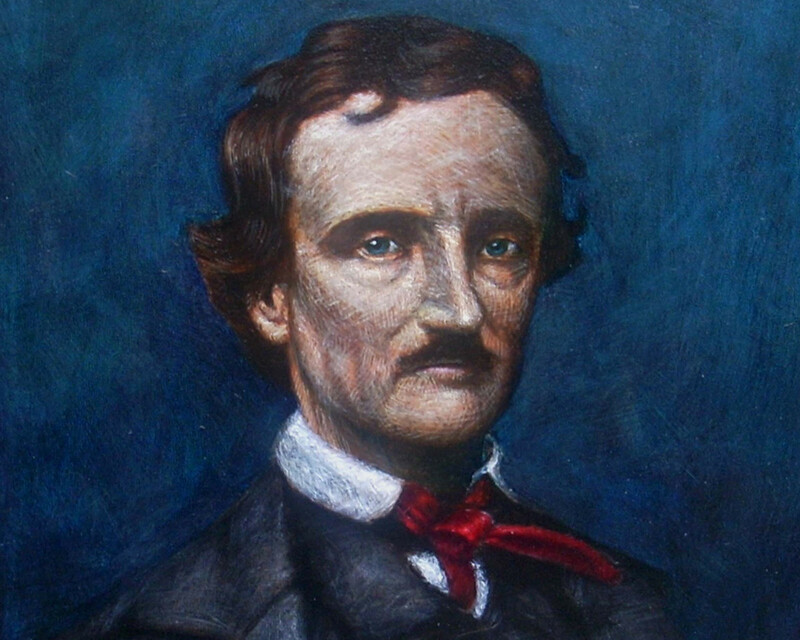 His aesthetic and themes have influenced such cultural figures as Salvador Dali, Charles Baudelaire, and Alfred Hitchcock, who credited Poe’s works with inspiring him to make suspense films. A century and a half after his death, Poe still makes appearances on television shows like The Following and South Park as well as the upcoming movies The Tell-Tale Heart starring Rose McGowan and Stonehearst Asylum with Kate Beckinsale and Michael Caine. In addition to numerous Poe societies (including ones in Denmark and the Czech Republic), there are museums devoted to him in Richmond, Philadelphia, Baltimore, and the Bronx. Opened in 1922, the Poe Museum in Richmond boasts the world’s largest collection of Poe’s personal items and memorabilia. Poe was born in Boston in 1809 but grew up in Richmond, Virginia and attended the University of Virginia. His early years were plagued by the death of his mother when he was two, his first love when he was 15, and his foster mother when he was 20. After dropping out of college and getting expelled from West Point, Poe took a job as an editor at the Southern Literary Messenger in Richmond. 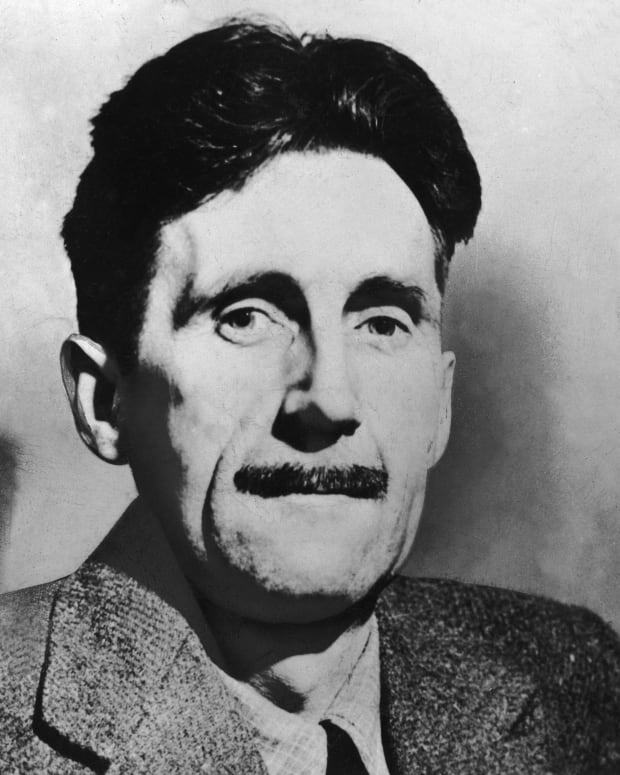 His controversial fiction and scathing book reviews boosted the magazine’s circulation seven times in seventeen months, and he only got fired twice in the process. After his second termination, Poe took a series of editorial positions at the leading magazines in Philadelphia and New York and supplemented his income with lectures and public readings. His short story “The Gold Bug” was a smash hit, but the publication of “The Raven” made him internationally famous (while only earning him about $15). 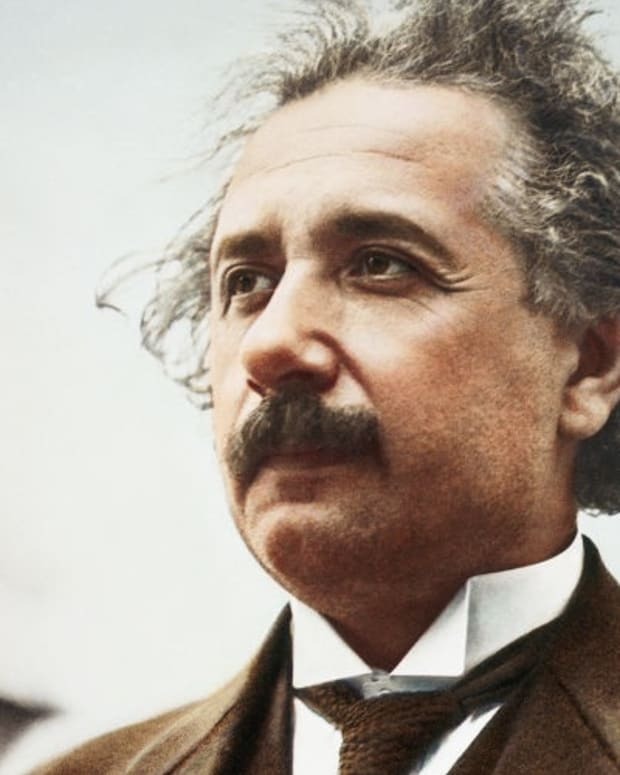 After the death of his wife from tuberculosis at the age of 24 (coincidently the same age at which his mother and brother also died), Poe devoted his remaining years to developing and publishing an early version of the “Big Bang” theory entitled Eureka. 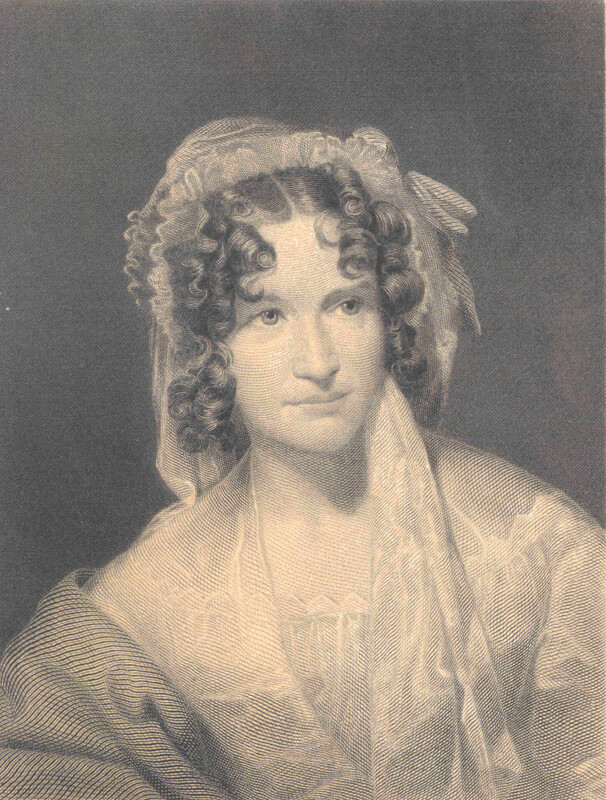 During a lecture tour of the East Coast, Poe engaged himself to a former childhood sweetheart (by then a wealthy widow) Elmira Royster Shelton back in Richmond, but he died while passing through Baltimore on October 7, 1849—just ten days before the wedding. 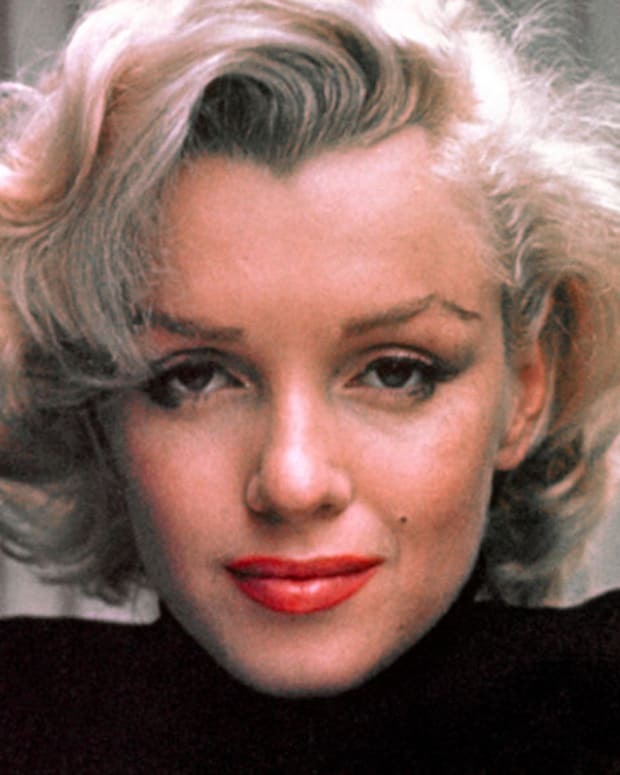 The cause of his death remains a mystery, but here are 13 haunting facts we do know about it. 1. When he died, Poe was on his way to Philadelphia for an editing job. 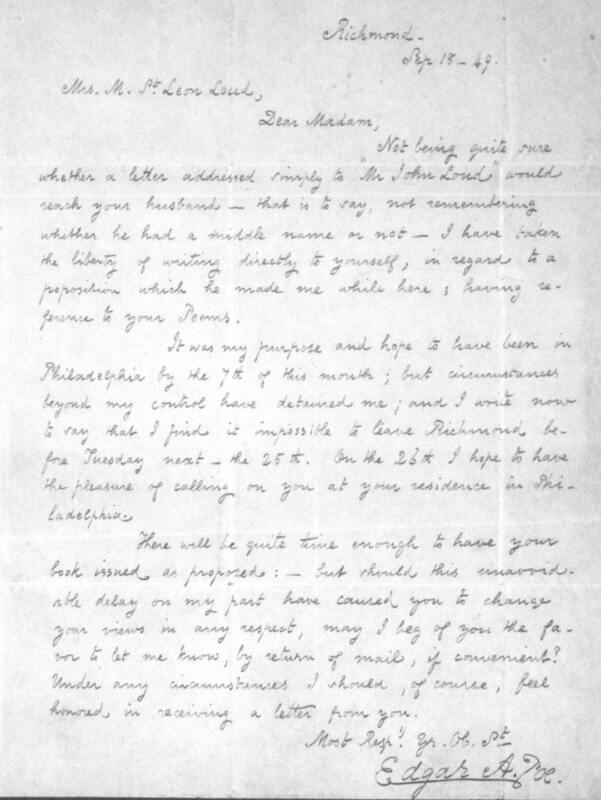 One of the last letters Poe wrote is a note to the poet Mrs. St. Leon Loud in which Poe arranges to meet her in Philadelphia to edit a book of her poetry. The letter is now in the collection of the Poe Museum. 2. A week before his death, his doctor advised him not to travel. The night before he left Richmond on his trip to Philadelphia, his fiancée Elmira Shelton commented that he appeared ill, so Poe visited a doctor friend named John Carter, who advised Poe to stay in Richmond a few more days before making the journey. When Poe left Carter’s house, he took Carter’s sword cane, accidentally leaving his own. 3. Poe could not remember the location of his luggage. Poe’s attending physician, John Moran, asked his patient where he had left his luggage, but Poe could not remember. 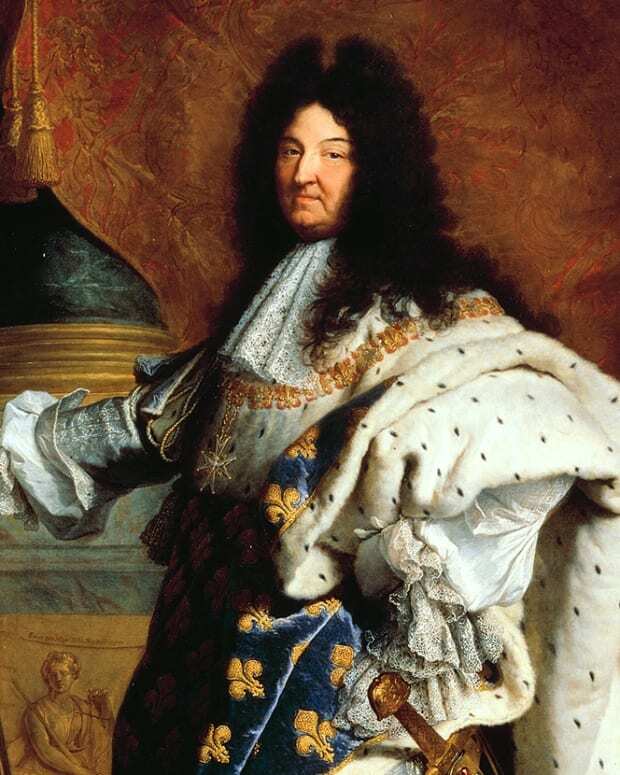 A few weeks later his cousin found a trunk of his possessions in Baltimore, and another trunk was found in Richmond. 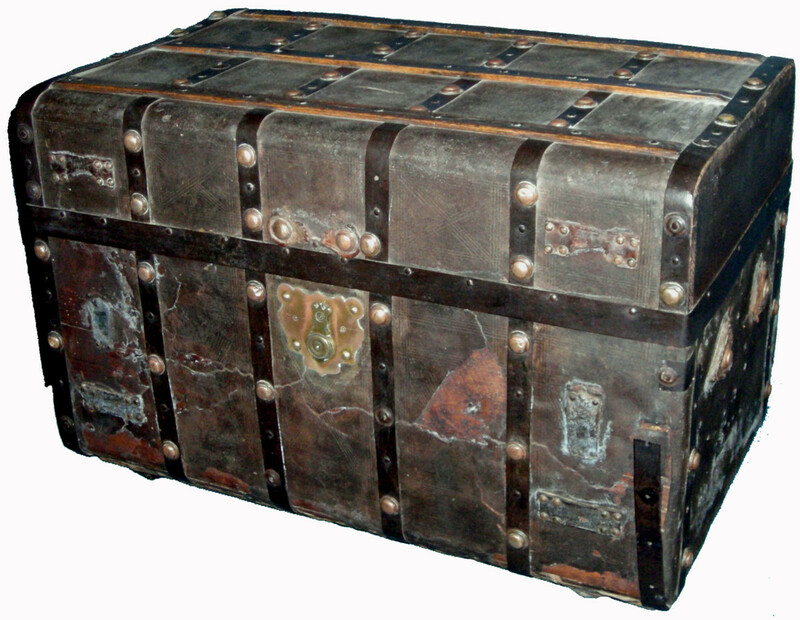 While his manuscripts went to his literary executor and editor Rufus Griswold, Poe’s sister and mother-in-law fought over his trunk. 4. Four days before his death Poe was found at a polling place on a voting day. Poe was found at Ryan’s Fourth Ward Polls on the day of a municipal election. This location was associated with cooping, a form of voter fraud in which unsuspecting victims were drugged and forced to vote at one polling place after another until being left for dead. 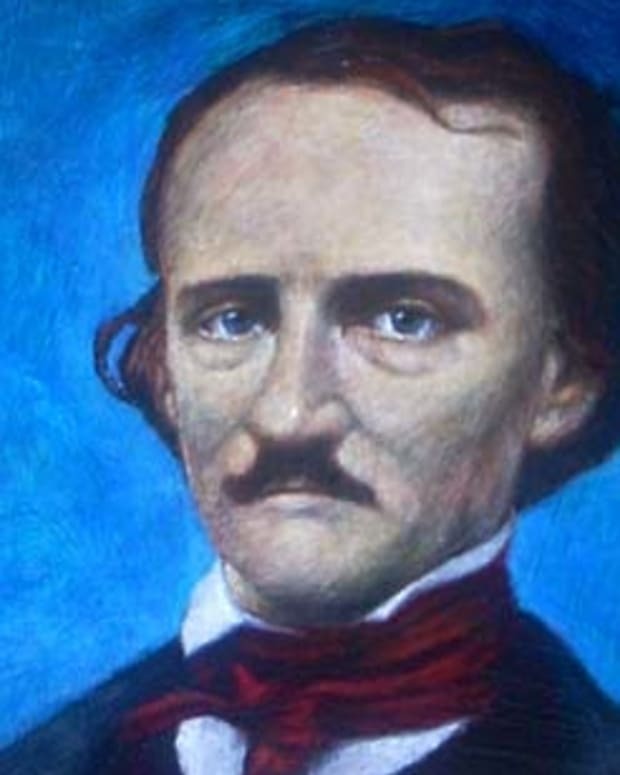 A few years after Poe’s death a rumor spread that Poe had been cooped. About a decade after Poe’s death, his friend John Ruben Thompson wrote a lecture, the manuscript of which (you guessed it) is in the Poe Museum, reporting that being cooped had contributed to Poe’s death. 5. Poe’s cat could not live without him. After hearing of Poe’s death, his mother-in-law discovered that his beloved tortoiseshell cat Catterina had also just died. 6. His enemy wrote his obituary. One of Poe’s professional and personal rivals Rufus Wilmot Griswold wrote a lengthy obituary for his enemy that was so libelous Griswold signed it with a pseudonym. The article portrayed Poe as a mad, drunken, womanizing opium addict who based his darkest tales on personal experience. Griswold expanded this account into a brief memoir of the author, and Griswold’s distorted picture of Poe influenced popular opinion of the author for over a century. 7. His attending physician dismissed reports that Poe had been drinking heavily before his death. In response to reports that Poe died as a result of a drinking binge, Poe’s attending physician John Moran wrote articles and even a book, Edgar Allan Poe: A Defense, both to refute these rumors and to provide his own “first-hand” account of Poe’s final days. Regrettably, Moran’s accounts vary so widely that they are not generally considered reliable. 8. His friend spread rumors that he had been drunk. When Poe was found in distress at Ryan’s Fourth Ward Polls, he called for his magazine editor acquaintance Joseph Snodgrass. 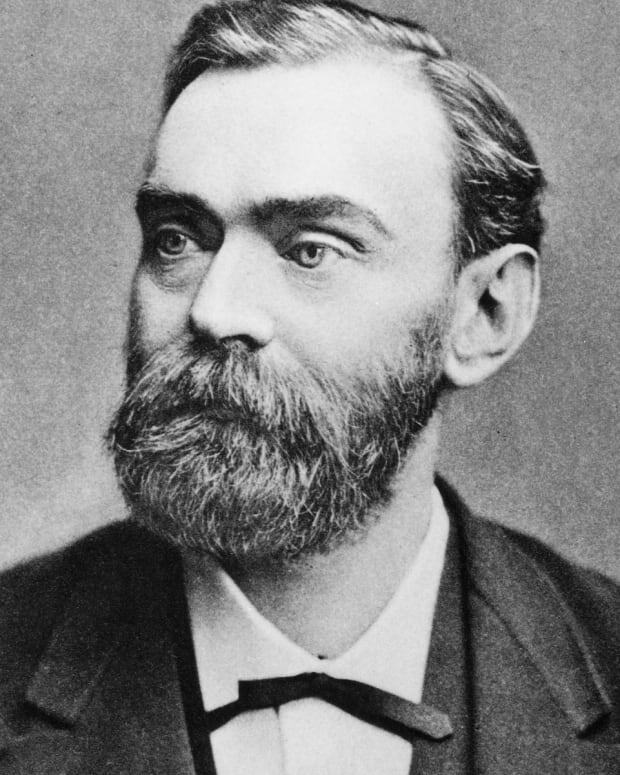 After failing to convince one of Poe’s relatives to care for the poet, Snodgrass sent him to Washington College Hospital. A staunch temperance advocate, Snodgrass wrote and lectured about Poe’s death as a cautionary tale about the evils of alcohol. 9. Poe’s hair was a collector’s item. While Poe was lying in state, several of his admirers waited in line for souvenirs of the poet. 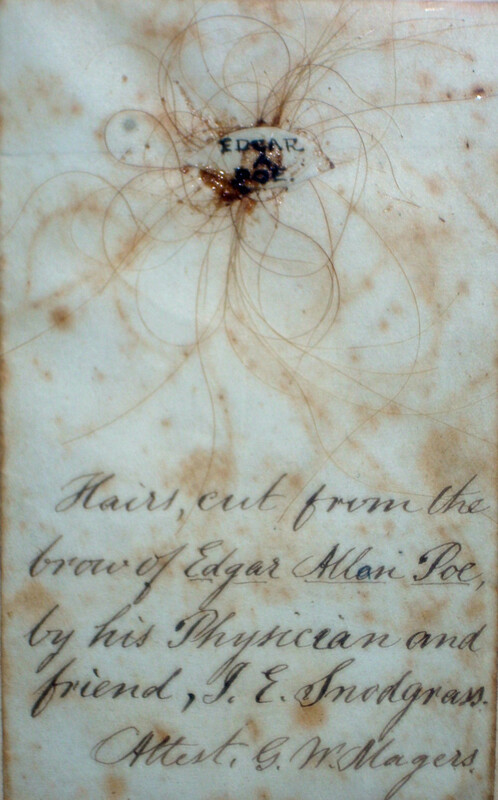 His attending physician John Moran wrote that Poe’s body was “visited by some of the first individuals of the city, many of them anxious to have a lock of his hair.” Poe’s friend Joseph Snodgrass saved a clipping which is now owned by the Poe Museum. 10. Only seven people attended Poe’s funeral. 11. Poe’s body was moved decades after his death. 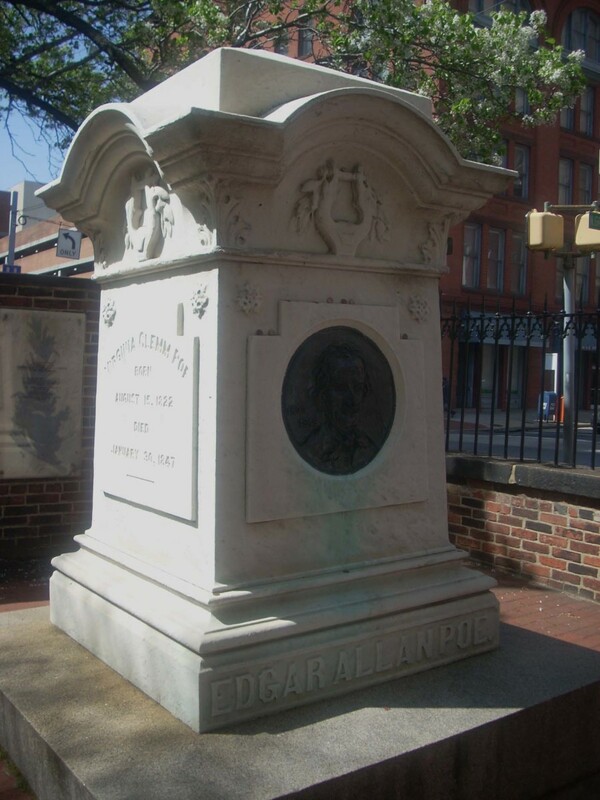 Poe was buried in an unmarked grave in his grandfather’s plot in Westminster Burying Grounds in Baltimore. Eleven years later, a cousin paid for a monument, but the stone was destroyed by a train that crashed into the stone carver’s shop. It was 26 years after Poe’s death that teachers and students raised the money for a proper monument which was placed in a place of honor next to the cemetery gate. While it was being moved to the new location, Poe’s coffin broke, revealing what was left of Poe’s remains. Pieces of the coffin are now collector’s items. Supposedly, one of Poe’s female admirers wore a cross fashioned from pieces of the wood. 12. Poe’s wife was buried next to him nearly 40 years after her death. Poe’s wife died two years before he did, and she was buried in his landlord’s family crypt in the Bronx. After he was reburied under his new monument, some of his admirers decided to move her next to him in Baltimore. 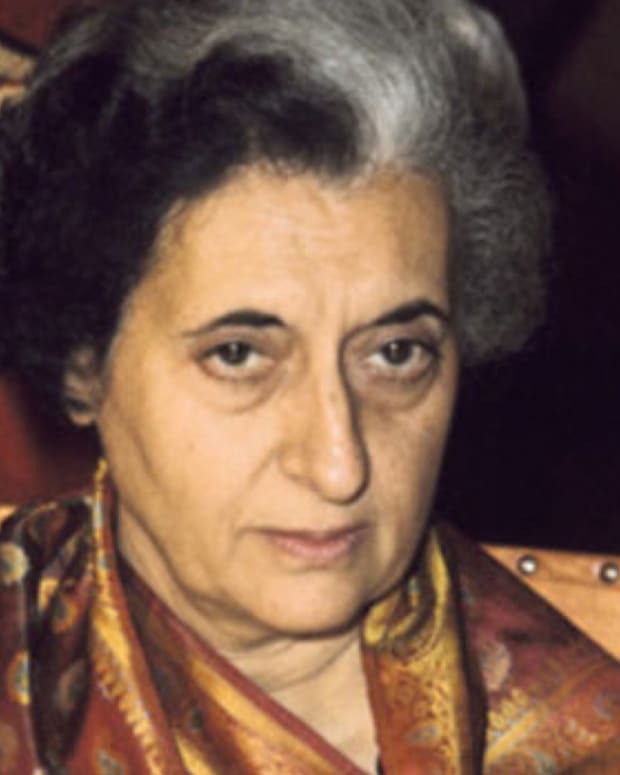 The problem was that developers had already built over her cemetery and moved the bodies. 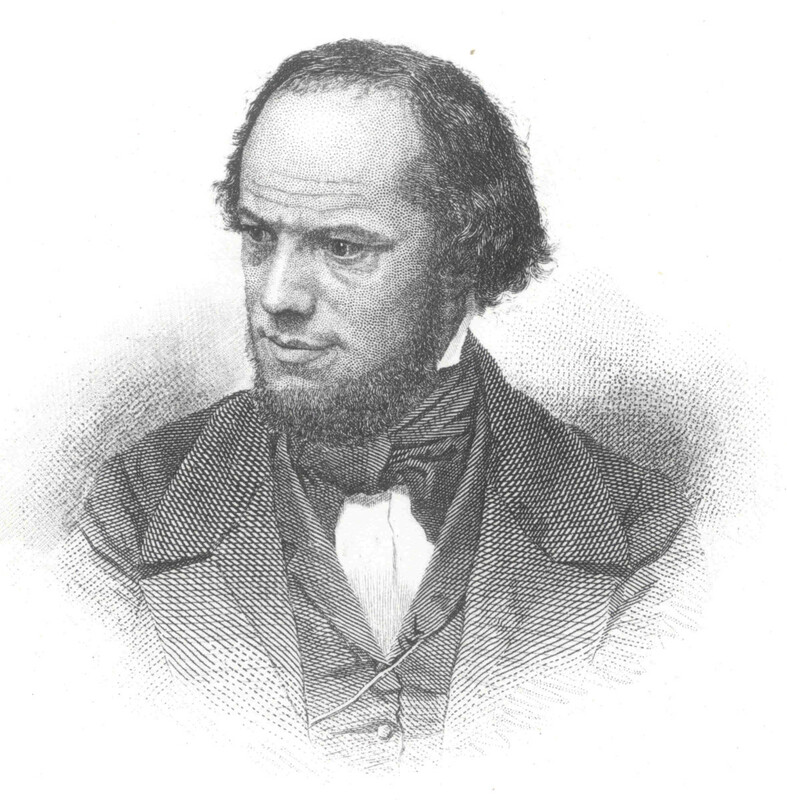 Fortunately, one of Poe’s eccentric biographers William Gill rescued her bones. Unfortunately, he took them home with him and kept them in a box under his bed for years before he sent them to Baltimore for reburial. 13. Poe’s death did not stop him from writing. Today, on the 257th anniversary of James Monroe's birth, here are 13 facts about why this Founding Father was "the man."